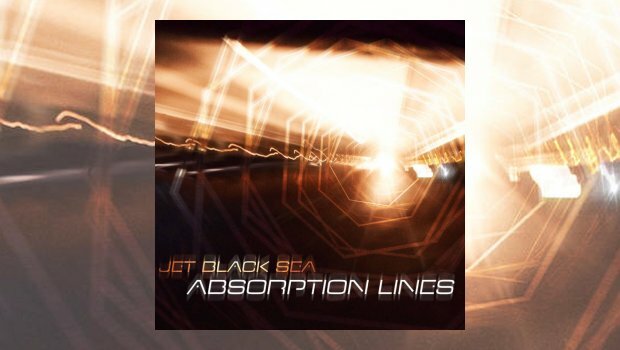 Jet Black Sea came into being in 2013 as a new musical project for Adrian Jones and Michael Simons, after they had been working in the studio with Adrian’s band, Nine Stones Close. It became apparent that they both wanted to explore other musical themes, using their individual experiences to enhance each other’s contributions, and the debut Jet Black Sea album, The Path of Least Existence, was released in November 2015 to critical acclaim. Adrian and Michael describe their music as experimental, ambient and progressive with a dark edge, which has drawn comparison with Ulver, Nine Inch Nails, King Crimson, Radiohead and Pink Floyd. It is true that these influences and more can be felt in the music, but it definitely becomes clear that this is a sound created by Jet Black Sea. There are seven songs here, which flow very well from the start to the finish of the album. The music is ambient, melancholic and dark at times, but there are always moments of beauty and melody woven through. Second albums can often be tricky affairs, but Adrian and Michael have created a work that is markedly different from the debut, but still identifiable as Jet Black Sea. All the songs were written by the duo with mixing, mastering and production handled by Paul van Zeeland. Two of the tracks are clearly influenced by the Apollo 13 mission, the first being the title track which follows on from the short Jumping to a Conclusion (part 1), its static effect start followed by a chiming guitar and atmospheric keyboards as the tracks segue nicely. The use of sound effects, in the shape of dialogue between Houston control and Apollo 13, help create the mood, along with the keyboards before a Floydian guitar cuts through. The closing track, 133 hours, so named for the length of time the world waited for the safe return of Apollo 13, offers up some feelings of hope. Their previous album was instrumental, but here they have used vocals on two tracks, inviting Adrian O’Shaughnessy to sing on Cathedral and Tony Patterson on Hours Slip Into Days. This works well; Cathedral starts with sound effects creating the mood, accompanied by keyboards. The overall feel is somewhat dark, almost sinister, before the guitar comes in with a Floydian sound adding some brighter, grandiose textures. The vocals arrive after about four minutes, almost when you are not expecting any at all, helping to build to a climax before falling away to moody sound effects for the end. Hours Slip Into Days starts gently with a beautiful piano, Patterson’s voice giving a dreamy Radiohead feel to the proceedings. There is a lot of variety within these songs, which may not be obvious at first but is revealed on repeated plays. Opener Wrong Turn with its ambient start has an unsettling but almost dance-like drum pattern, provided by Pieter van Hoorn, accompanying the drone of keyboards, changing to deliver a somewhat harder edge at the midpoint. The Sixth Wheel gives us a Tangerine Dream start, evolving into a Middle Eastern feel, guitar riffs added towards the end. This is a masterful album, wonderfully crafted and created to provide the listener with a rounded experience, the seven songs working well together with a natural flow across the forty four minutes running time. Just the right length, creating enough interest to prompt you to jump up and hit repeat, and in doing so you will be rewarded with further hidden depths. An album worthy of investigation and I am pleased to have had the opportunity to review it.